NOTE: This is for picture information if you need audio you will need to purchase an audio cable as well for VGA & DVI connections. HDMI provides you Picture and Audio. On some models you will also need to set the source name for the Television to correctly display the computer image and you may also need to set the computers graphics output to achieve the optimum setting. 1. 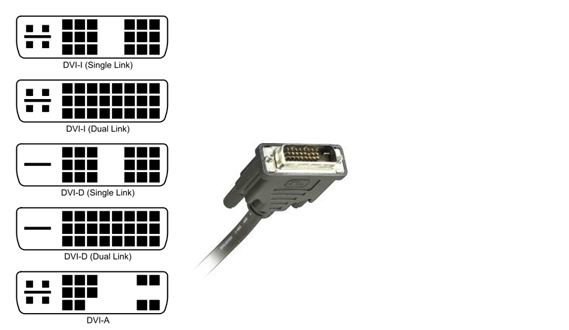 Select the suitable cable for your Laptop and television. 2. Connect one end of the cable to your laptop. 3. Now connection the other end of the cable to the suitable input on the TV. 4. To view desktop, Videos, images or any other content please turn on your Laptop. 5. Now 'Power ON' your TV and press the 'SOURCE' button on your remote control. 6. Navigate to PC or HDMI/DVI and press ENTER. NOTE: To adjust your screen look up adjusting the screen resolution settings on your laptop and select the appropriate setting. Some laptops offer you the option to press Function & F4 on to switch between displays the setting may be adjusted automatically according to your Display.